Recorded Live at Mecca Arena , Milwaukee, Wisconsin, USA - December 19, 1984. Files: 25.:: Size: 881.08 MB (flac). Personnel: Bruce Dickinson – lead vocals, Dave Murray – guitar, Adrian Smith – guitar, Steve Harris – bass guitar, Nicko McBrain – drums . 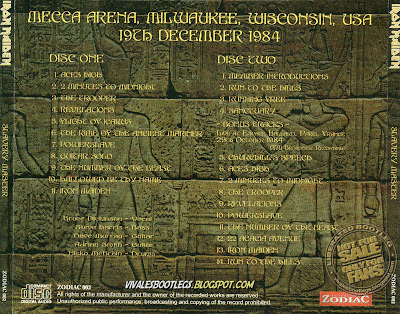 There are of course many audience recordings from this tour, perhaps the best of the American leg is featured here in this new release from the new label Zodiac. The audience recording is excellent, recorded very close to the stage with little crowd noise to interfere with the recording. There is some phasing of the sound from time to time as if the person recording was moving around but is very clear well balanced and extremely detailed, certainly one to turn up loud. A excellent concert in both performance and sound quality. 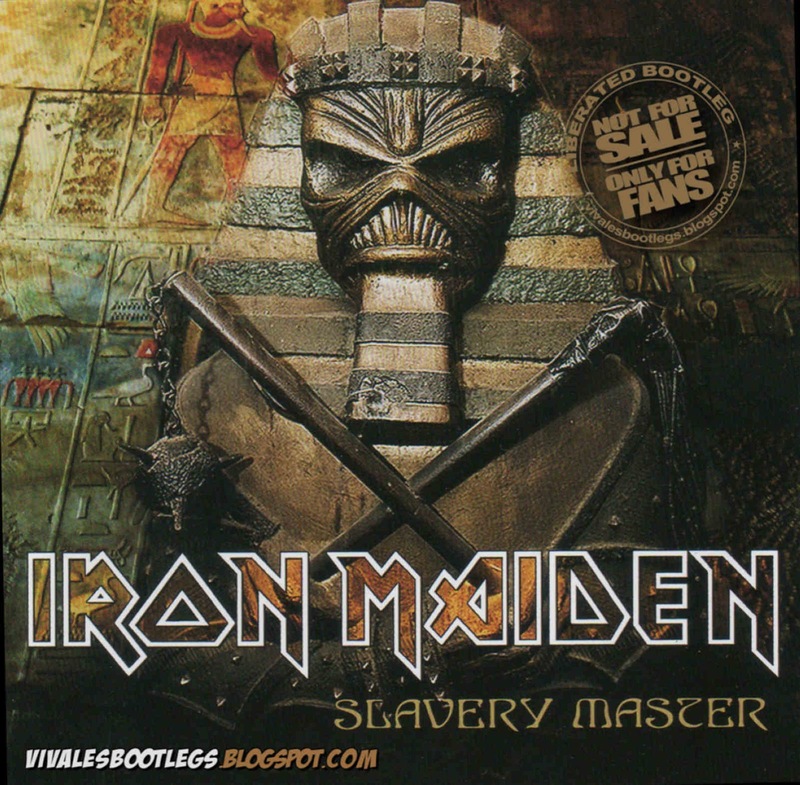 The filler on the second disc comes from the bands performance in Paris France on the same tour two months from the bands European leg of the tour. There are two know recordings from the gig, an good audience recording and an very good soundboard FM broadcast recording, the latter is featured here. This is one of the shows Maiden collectors have been clambering about for some time, this release is much welcomed and an impressive release. ..<Info taken from from Collectors Music Reviews>. Welcome back Viva! and thanks for sharing this gem. This is not an audience recording!This is a soundboard recording.Can't you realize the difference?